Japan may soon be among the top three foreign direct investment nations or FDIs in Myanmar because of Japan’s investment in the three largest special economic zones being developed in Myanmar. Infrastructure developers and manufacturers from Japan are playing a large role in these zones. Currently, Japan is the 10th largest FDI source in Myanmar, but it could move into the top three spot in the short-term, according to Bank of Tokyo-Mitsubishi UFJ chief representative Ritsuo Fukadai, speaking in a media interview. Japanese businesses have shown particularly great interest in the Thilawa SEZ, the Dawei SEZ and the Kyaukpyu SEZ as well as the gas and oil industry, the bank representative said. The Dawei SEZ in particular is located near Thailand where there are a large number of Japanese companies operating, including Toyota. 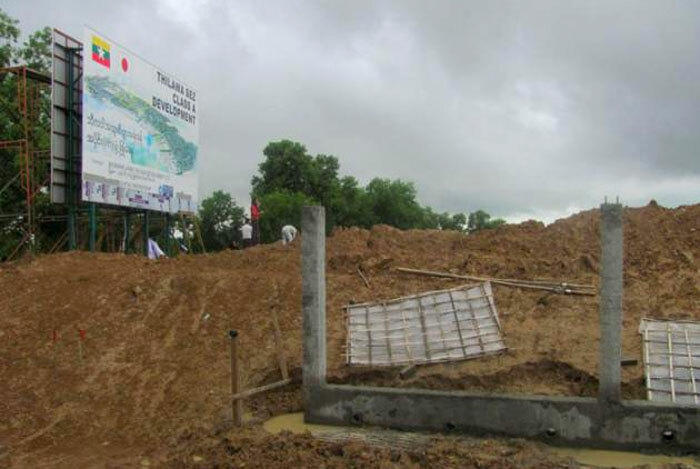 The Toyota factory is very near Dawei and it is possible that the Myanmar government will be able to bring some of the investment related to this development across the border into its nation, according to the banker. The current priority is Thilawa, he said. Future focus may turn to Dawei and Kyaukpyu. The latter is distant from Thilawa yet is getting some interest from Japanese companies nonetheless. Specifically, he mentioned that Hitachi and Mitsubishi are considering infrastructure projects in Kyaukpyu. A key to attracting FDI is streamlining the process, he said, something that is generally lacking in Myanmar because the government is fragmented. There are many authorities and ministries that are not well connected. It can waste time when an application is put into one ministry and then must be redone with another ministry. A one-stop approach would make more sense – and that’s what is done in Thilawa. This leads to simpler and quicker investment in the area.